Welcome to the fourth and final week of the Summer of Night Vale Presents, a celebration and sampling of some of the shows across our network. This week, hear previews of two upcoming Night Vale Presents shows, and full episodes from The Orbiting Human Circus (of the Air) and Good Morning Night Vale. To get updates on our new shows, Adventures in New America and Dreamboy, sign up for the Night Vale Presents newsletter, or follow us on Facebook and Twitter. The Orbiting Human Circus (of the Air) is a surreal and funny audio drama about a lonely janitor at the Eiffel Tower who longs to be part of the most popular radio show in the world. Recently, we re-issued the first season in partnership with WNYC. This special edition has brand new behind-the-scenes commentary in every episode and a director’s cut of the season finale, and is the perfect excuse to either re-listen or dive in for the very first time. Good Morning Night Vale is the official Welcome to Night Vale recap show, hosted by cast members Meg Bashwiner, Symphony Sanders, and Hal Lublin. 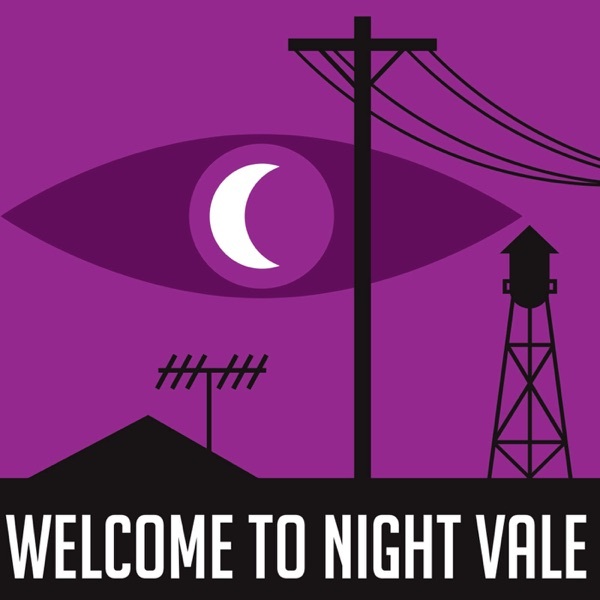 Each week, our hosts do a deep dive into one episode of Welcome to Night Vale, starting with the very first episode from 2012. Tune in for behind-the-scenes stories, interviews with the cast and creators, fan theories, and THROAT SPIDERS.